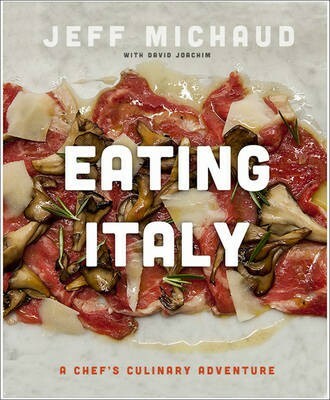 Part inventive cookbook, part travel narrative, each chapter of Eating Italy explores a village or town in northern Italy, unveiling the unique culinary and cultural experience it has to offer. The reader experiences his journey from Paladina: The Butcher’s Apprentice” to Trescore Balneario: Our Big Italian Wedding” in dishes like Apricot and Chanterelle Salad, Swordfish Pancetta with Fennel Zeppole, Pheasant Lasagne, and Blood Orange Crostata with Bitter Chocolate. Each authentic recipe serves to mark his professional growth, learning from some of the most skilled chefs in Italy. Vivid photography of Italian culture, people, and landscapes are dispersed throughout, allowing the reader a glimpse of northern Italia from a kitchen far away.